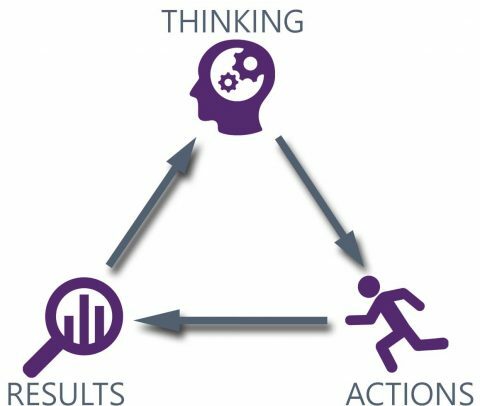 Your THINKING affects the ACTIONS you take, and these ACTIONS determine the RESULTS you get. Yet, when asked what to do if you are not getting the results you want, most people only look at taking different actions. Einstein summed it up – ‘Insanity: doing the same thing over and over again and expecting different results.’ Getting stuck between actions and results is putting yourself into what we call “the insanity loop”. To break out of the loop, take a step back and think. What else might you be able to do? Sometimes all it takes is awareness of this process to allow leaders, teams and individuals to take back control of their approach and deliver different results.